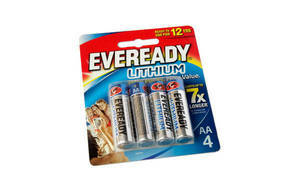 Bottom line: The Eveready Lithium has very good overall performance. But its high-drain value for money is just OK.
Poor low-drain value for money. Just OK high-drain value for money. 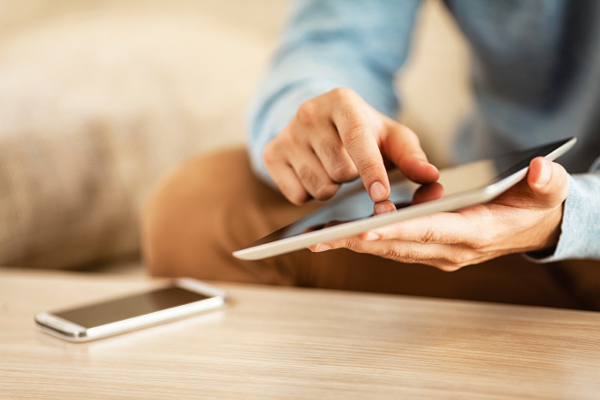 Become a paying Consumer member or log in to view all of our test results. Each AA battery goes through high- and low-drain tests to assess how they perform in different gadgets – we averaged the results from four examples of each model in every test. We measure how long they last in each test and the amount of energy they deliver over that time, then convert these measurements into a performance score. The low-drain test uses a load of 24 Ohms, while the high-drain test uses a 2 Ohm-load. Our performance scores are weighted evenly between performance and run time from each battery’s starting voltage of 1.5V down to 1.0V then to 0.7V – some devices start to falter and won’t operate at 1.0V; we use 0.7V as our benchmark for completely empty. We also calculate a ‘Value’ score based on how much each hour of use costs.